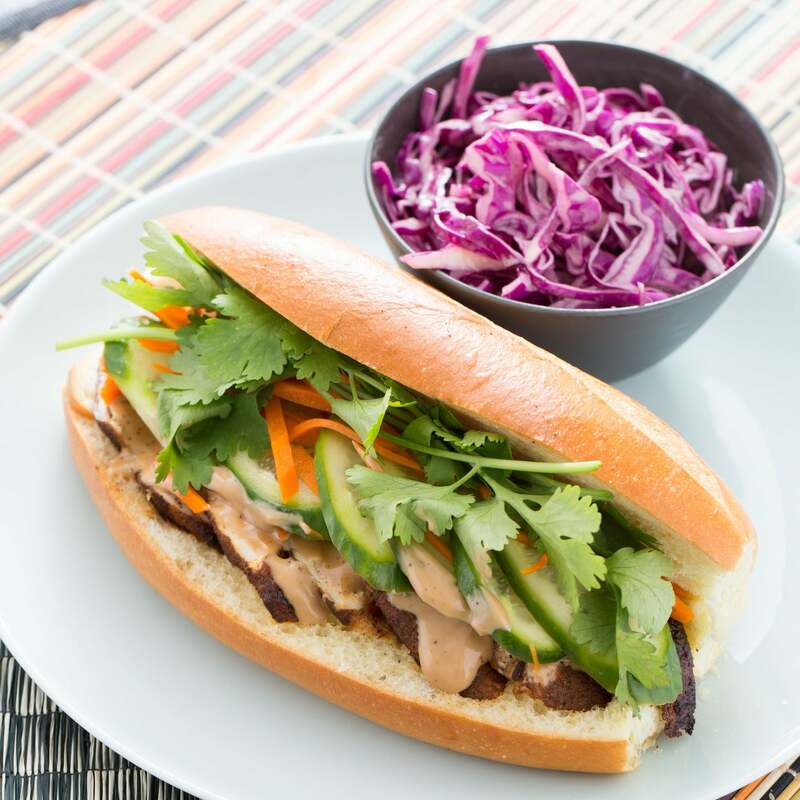 Literally translated, “bánh mì” is the Vietnamese phrase for “wheat bread” and refers to the French-style baguettes brought to the region in the late 1800s. Local cooks adapted this bread to their own purposes. Stuffed with spiced meats and traditional Southeast Asian herbs, the crusty bánh mì sandwiches we recognize today are the absolute best of both worlds. Wash and dry the fresh produce. Preheat the oven to 400°F. Peel and cut the carrot into thin matchsticks. Cut off and discard the very ends of the cilantro stems. Thinly slice the cucumber on an angle. Remove and discard the core of the cabbage; thinly slice the cabbage leaves. 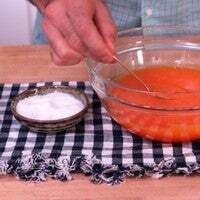 In a small bowl, combine the hoisin sauce and mayonnaise; season with salt and pepper to taste. 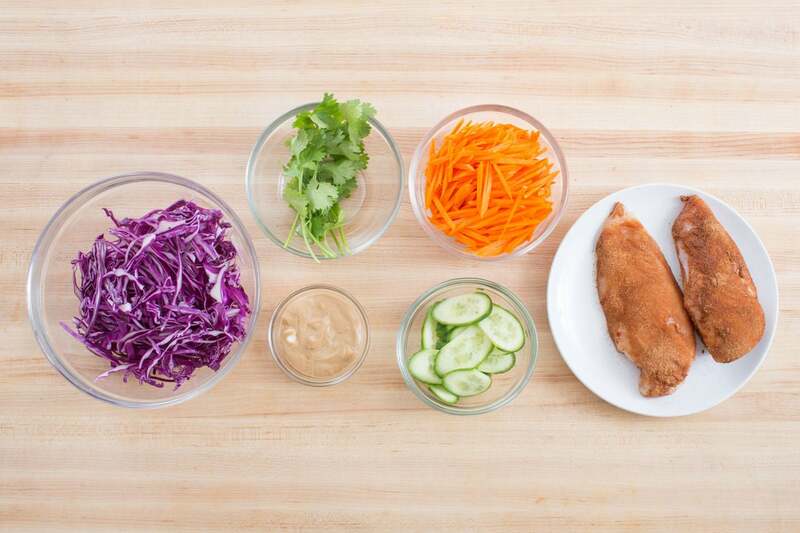 Completely coat the chicken in the bánh mì spice blend; set aside to marinate. 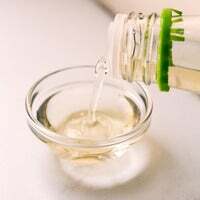 In a small pot, combine half the rice vinegar, ½ cup of water and a big pinch of salt. Heat to boiling on high. 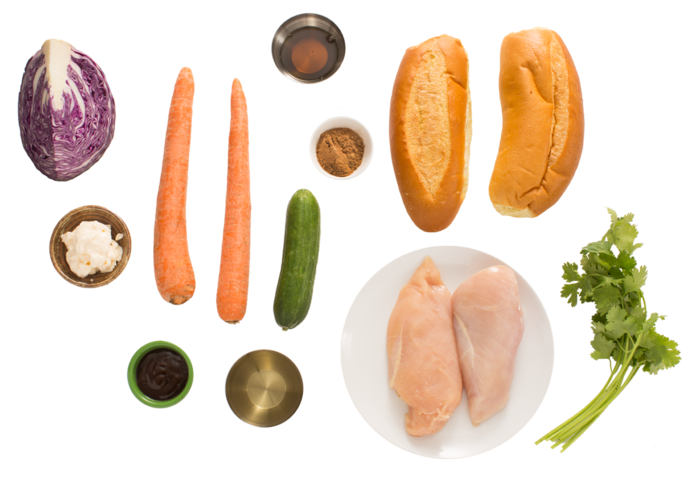 In a large, heat-proof bowl, combine a dash of the sesame oil, the carrots and cucumber. 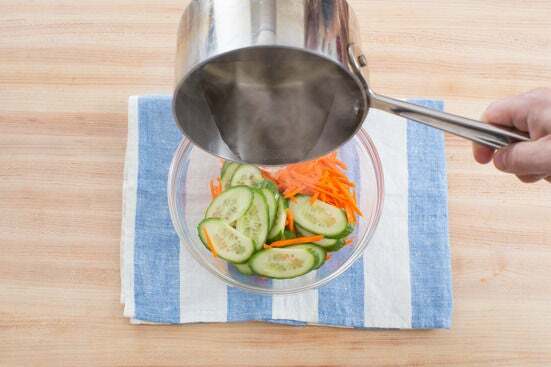 Once the pickling mixture is boiling, remove from heat and pour over the carrots and cucumber. Cover and set aside. 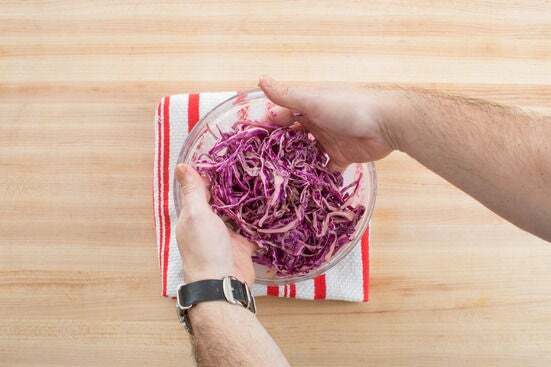 In a large bowl, combine the sliced cabbage, remaining sesame oil, half the hoisin-mayonnaise sauce and the remaining rice vinegar. Toss gently to mix; season with salt and pepper to taste. Season both sides of the spice-coated chicken with salt and pepper. In a medium pan (nonstick, if you have one), heat 2 teaspoons of olive oil on medium until hot. Add the seasoned chicken and cook, loosely covering the pan with aluminum foil, 5-7 minutes per side, or until cooked through (the juices should run clear). Set the cooked chicken aside to rest for at least 5 minutes. 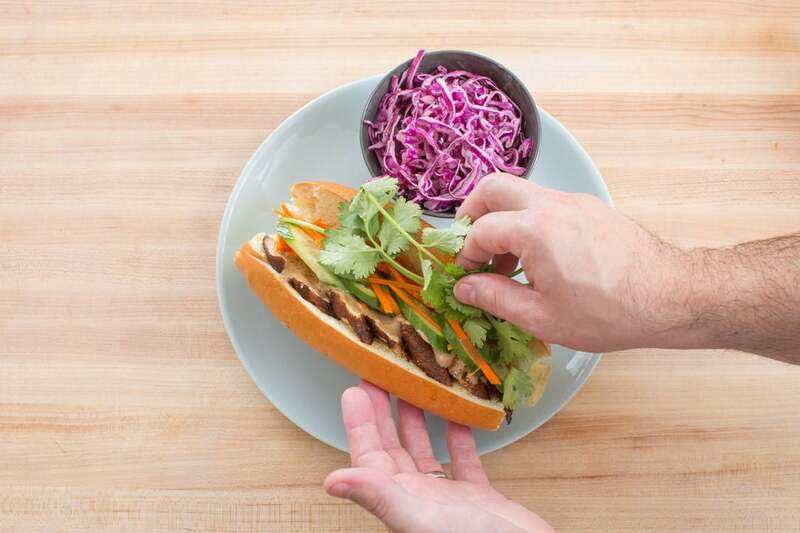 While the chicken rests, slice the bánh mì rolls in half lengthwise. 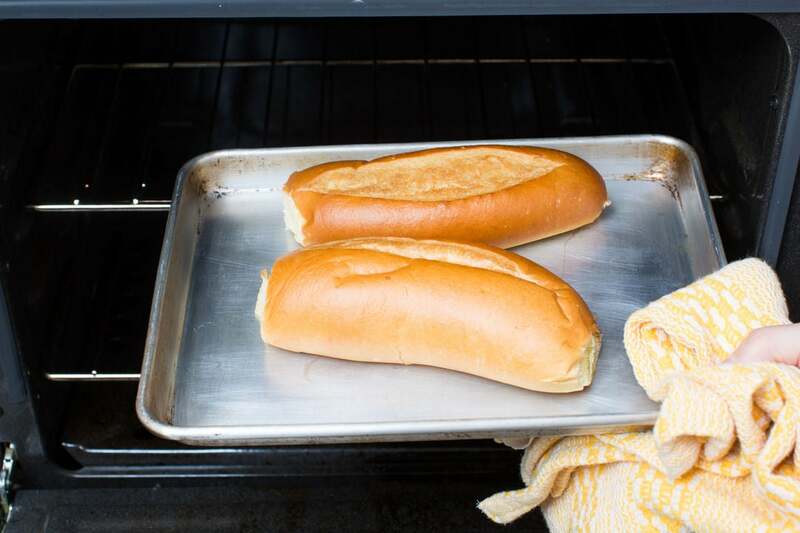 Place the sliced rolls on a small sheet pan (or directly on the oven racks). Toast 3 to 5 minutes, or until crispy on the outside and warmed through. 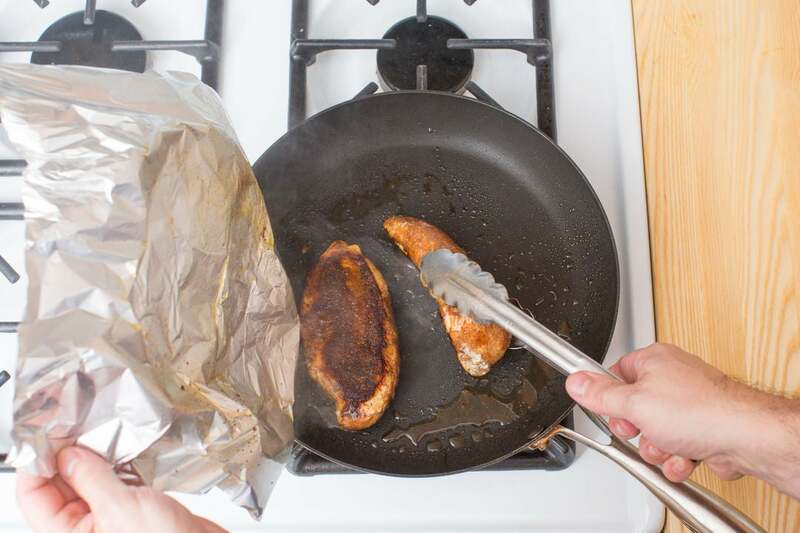 When cool enough to handle, slice the cooked chicken on an angle and season with salt and pepper to taste. Divide the sliced chicken between the rolls. Spoon some of the remaining hoisin-mayonnaise sauce over the chicken. Drain the pickled carrots and cucumbers. Divide the pickles between the sandwiches. Top each sandwich with the cilantro. Divide the sandwiches between 2 plates; serve with the cabbage salad on the side. Enjoy!